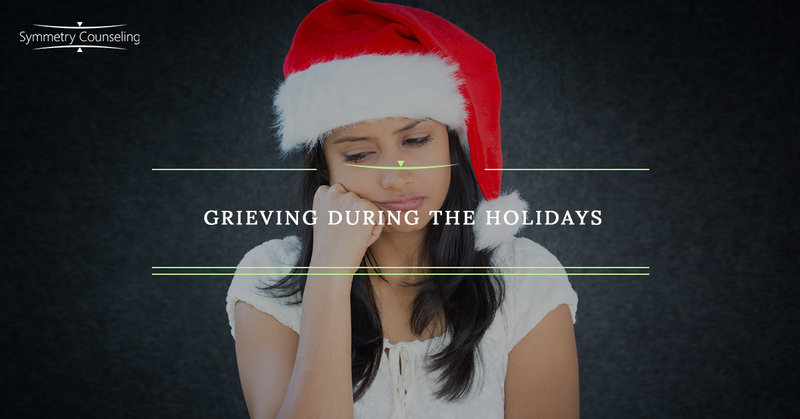 The holiday season is meant to be a time filled with joy, celebration, and family, but for many it is a sad reminder of the past or recent loved ones they have lost. Losing someone you love and adore is extremely difficult to cope with at any time, however, the grief can feel even stronger when you are engaging in old traditions such as listening to holiday music, putting up holiday decorations, or frosting cookies you and your loved one used to make together. Feeling alone and sad may make it seem like you may never enjoy the holidays to come. In time, however, many people find meaning in the holidays again. Below are a few ideas that may help with your feelings of grief throughout this holiday season and maybe find some joy in it as well. Grief is the pathway from pain to acceptance. During this time, you may feel alone, sad, hurt, or even angry and it may feel easier to hide or ignore the pain. Avoiding the feelings of grief will leave you in the same place next year as you are now; therefore, you have to decide the best way for you to move forward in your grieving process. There is no right or wrong way to grieve, but it is important to allow time for your feelings in order to feel better long term. Create a special way to remember the person you have lost. You may say a prayer before the holiday dinner, light a candle for your loved one, share a story about your loved one, or make an ornament in their name. All of these ideas and more will help incorporate them into you holiday and honor their memory each year. Cherishing the good times can help you focus more on how they have enriched your life and less on the physical loss. While you may have attended/engaged in many holiday events or traditions in the past, you certainly don’t have to attend every one of them this year. If attending certain events or engaging in certain traditions is too painful, be prepared to say no. Pick a few things you feel you are able to do and will enjoy, say no to the things that are too difficult. Focus on creating new experiences with other loved ones, attending the events you feel comfortable with. Giving to others in need can be a great way to take your mind off of the people you have lost and lift your spirits. Serving food to the homeless, volunteering at an animal shelter, or visiting sick children at the hospital are all great ways to give back if you feel up to it. There is a sense of fulfillment you get when you focus on others, and it may help boost your mood. We all need help at certain times in our lives, and the holidays is a time when you may need it. When friends or family ask how you are doing you may want to say you are “fine” or “great”, but try and be honest. Don’t be afraid to seek help from those who care about you and don’t turn away those who are genuinely inquiring about your wellbeing. Surrounding yourself with those you love and who love you in return may make getting through the holidays a lot easier. If you are having a difficult time dealing with feelings of grief throughout this holiday season, it may be useful to connect with a therapist. Contact Symmetry Counseling at 312-578-9990 to set up an appointment with one of our very skilled therapists.